Note: This week features Noah Meernaum, with a dual review of ROBOTIKA and its follow-up, ROBOTIKA: FOR A FEW RUBLES MORE. Wherein the graphic series Robotika is seen to be mounting up and continuing into further outbound territory proclaimed to be steadily aided by an additional scribe (causing much trepidation upon the reviewer). Robotika: For a Few Rubles More by Alex Sheikman (writer/illustrator), David Moran (writer/script), Joel Chua and Scott Keating (colors). Archaia Press, 2009. 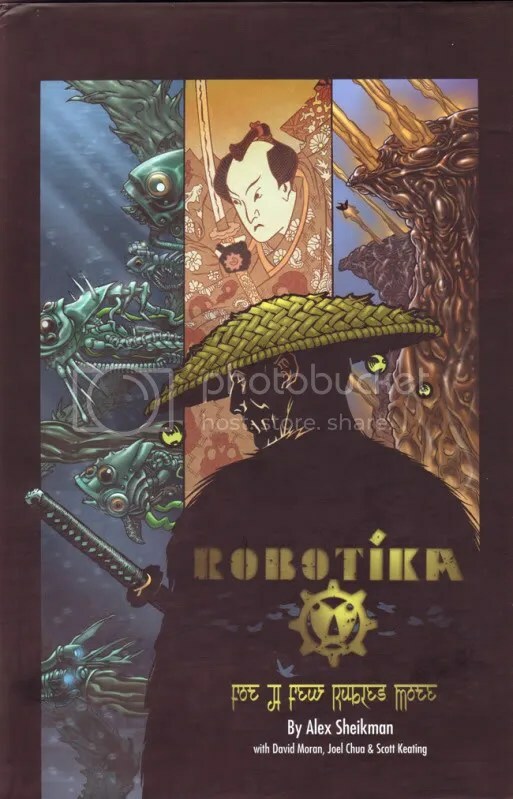 Note: This week, Noah Meernaum (who previously wrote for Beyond Victoriana about racial representations in Weird West comics) returns with a dual review of ROBOTIKA and its follow-up, ROBOTIKA: FOR A FEW RUBLES MORE. The first review is below, and its companion piece will be posted on Monday. Steampunk is currently continuing to be abundantly referenced to describe a vast array of fictional works that have presently arisen in the revitalized interest around this peculiar fantastic amalgam. 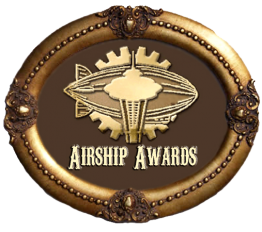 Amid this extensive fictive outgrowth there is an increasing concentration towards advancing beyond any given geographical location, fixed elements, or customary Western outlooks surrounding steampunk. These alternate positions and views, while being openly encouraged as further imaginative formulations enlarging upon the allowable confines of this compound term, are sometimes held as far flung adoptions disproportionately conjoined of disagreeable parts or disparate plots. Note from Ay-leen: This the third and final part of a series of guest posts from Matt Delman, Proprietor of Free the Princess and Doc Fantastique’s Show of Wonders. The rise-fall-rise of Dost Mohammad was one of the most central facets of the Great Game as it was played in Afghanistan. His son, Mohammad Akbar Khan, had already proven that the Afghanis could send Britain packing from their mountainous nation when his campaign to restore his father to the Emirship succeeded in the early 1840s. Mohammad Akbar Khan, however, died in 1845, removing one of the most anti-British figures of the past few years from the playing field. It took more than a decade after the end of the First Anglo-Afghan War before the British made overtures to renew relations with Dost Mohammad. In 1854, they made the opening moves at Kabul, and in 1855 the Afghans and the British signed the Treaty of Peshawar. The two nations agreed to respect each other’s territorial boundaries and to make friends with each other’s friends and enemies of each other’s enemies. In October 1856, the Persians attacked the city of Herat for the second time that decade (1852 was the first). The British came to Afghanistan’s aid, in keeping with their policy of maintaining that nation’s territorial integrity. After only three months of fighting, the Persians were expelled from Herat. Soon after the end of that conflict, in 1857, the British and Afghans signed an addendum to the Treaty of Peshawar that allowed the British to station a military mission at Kandahar. During the Sepoy Rebellion of 1857, certain officials in British India suggested restoring Peshawar to Afghanistan in return for Dost Mohammad’s assistance during the mutiny. However, the idea was rejected because several officials on the northwest frontier thought Dost Mohammad would see such a gift as weakness on the part of the British government in India. In 1863, the British finally allowed Dost Mohammad to retake Herat and add it back into the Afghani national territory. By this time, a series of Liberal governments in London regarded Afghanistan as a Buffer State against Russian interests in Central Asia. The southern border of the Russian Empire was on the opposite side of the Aral Sea from Afghanistan, and even stopped at the Syr Darya, which runs through modern Kazakhstan and Uzbekistan, throughout much of the 1860s. 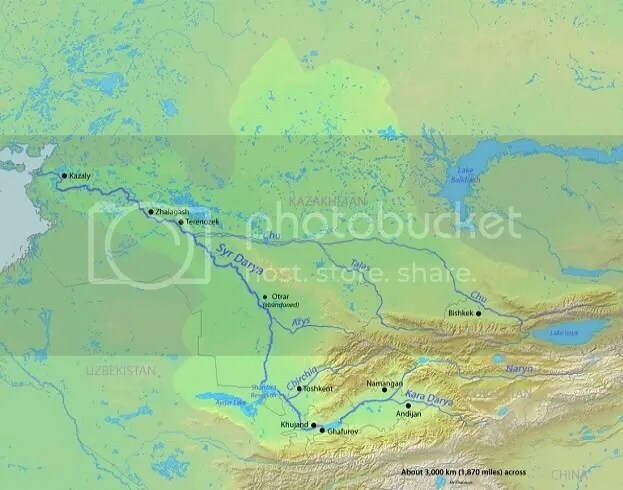 On the map above, you can see Toshkent, also called Tashkent, slightly inside the border of Uzbekistan. It’s the black dot beneath the H in Chirchiq, if you’re having problems seeing it. By 1865, the Russian Empire had formally annexed Tashkent. This expanded the border of the territory Tsar Alexander II controlled across the entire length of the Syr Darya. Within a few years, Russian forces would move through Uzbekistan and the mountainous Central Asian khanates subduing one after another with ease. The Emir of Bukhara signed a treaty with Russia in 1868 that placed his nation under Russian protection, after a brief war that the Russians handily won. Russia took control of Samarkand, an important city in Bukharan territory, and five years later would make Bukhara a protectorate of the Russian Empire. Note from Ay-leen: This the second in a series of guest posts this week from Matt Delman, Proprietor of Free the Princess and Doc Fantastique’s Show of Wonders. 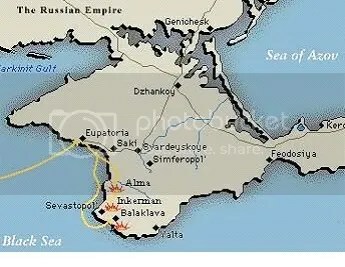 The Crimean War of October 1853 to February 1856 is so named because much of the land-based engagements took place on the Crimean Peninsula, which juts out into the Black Sea and in modern times is an autonomous republic within the Ukraine. The battles didn’t only occur on the peninsula; the naval conflicts occurred in the Baltic Sea, the Black Sea, the White Sea, and the Pacific Ocean. Some additional land battles also happened in Western Turkey. Ostensibly, the conflict was over who had the right to protect Christians and Christian holy places in Palestine: France, who had protected Christians and the Holy Places since two treaties in 1690 and 1740, respectively, which acknowledged Roman Catholic responsibility in the region; or Russia, who spoke for the Eastern Orthodox Church that claimed most of the Christians in the area as devotees. Perhaps most interesting about this situation is that the influence of the Roman Catholic Church declined between 1740 and 1820. There simply were not that many Roman Catholics in the Holy Land; the Christians that did live in Palestine were more likely to be Eastern Orthodox, and thus under the protection of the Russian Empire. Tsar Nicholas I also saw himself as ordained by God to lead the Orthodox Church and protect the adherents of that church in the world. By 1840, Russian pilgrims were flocking to the Holy Land, which gave the Tsar the excuse he needed to demand greater say in the Holy Land from the Ottoman Sultan. Note from Ay-leen: This the first in a series of guest posts this week from Matt Delman, Proprietor of Free the Princess and Doc Fantastique’s Show of Wonders. The time: 1807, when the Napoleonic Wars still raged in Europe. The place: London, England. Agents of the Crown have recently reported that Tsar Alexander I of Russia signed a treaty with Napoleon Bonaparte that suggested the French Emperor would receive Russian aid in his war against Great Britain, and in return Russia was to receive Moldavia and Wallachia — two European possessions of the flagging Ottoman Empire. 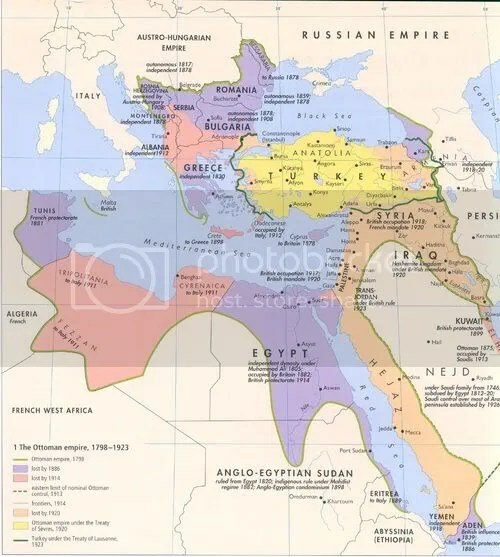 If the Ottoman Sultan refused to turn over the provinces, then France and Russia would invade the Empire and partition its lands — Greece and much of the Balkans included — between their two nations. The addition of such wide swathes of territory to its two enemies’ spheres of influence was bad enough news for the British Crown. However, even worse news was that Napoleon suggested that France and Russia steal away the jewel in the British Crown. There remained a singular problem with this plan: Napoleon had no idea of the geography of India. For that matter, the British realized, neither did they. More than two centuries of involvement in the nation of India hadn’t garnered any knowledge of the internal geography of the landscape; the British had previously confined themselves to the coastal regions where their ships could easily reach. The focus of the East India Company was on sea routes and sea routes only, which were the best way to transport trade goods back to England. Napoleon’s plan, though abortive, necessitated an investigation into the interior of the Indian subcontinent. For if the East India Company didn’t know where the overland lines of attack were, then how could they defend against an invasion? Thus, in 1810, orders were given, and Lt. Henry Pottinger and Capt. Charles Christie volunteered to conduct a survey of the potential land routes invasion could come by. The men exercised extreme caution, disguising themselves as Indians and taking two servants and a local horse dealer along as companions. Such a disguise was necessary because if the tribesmen along their route saw two Europeans, they would assume that Christie and Pottinger were making notes to plan an invasion of the tribal lands. Notes had to be made in secret and hidden on the body where no one could find them. Christie, Pottinger, and their party travelled from Bombay to Sind via ship, and then overland from Sind to Kalat. The men were immediately recognized as British officials, and were forced to escape in the middle of the night. Eventually, they reached Nushki, a city near the border of Afghanistan and Baluchistan. 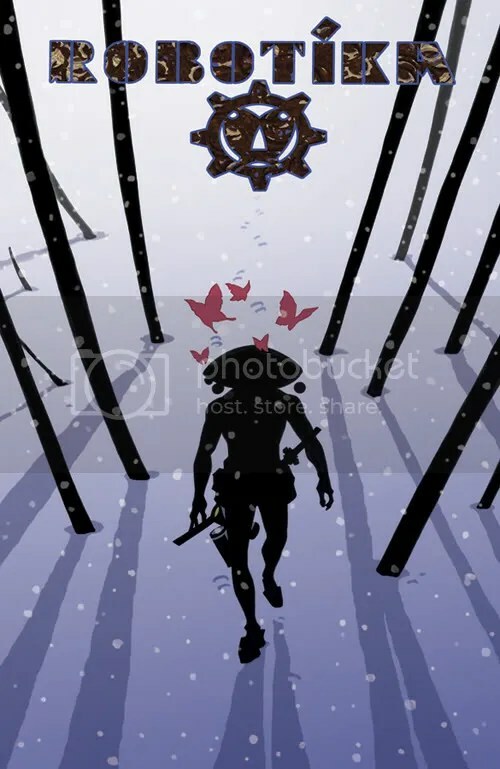 Thus began the opening moves of what would come to be known as The Great Game, a term crafted by British spy Arthur Conolly in 1829 and popularized in the 1901 novel Kim by Rudyard Kipling. In 1807, there were 2,000 miles of territory between British and Russian lands in Central Asia. By the end of the classic Great Game period in 1907, fewer than 20 miles separated the possessions of the two empires.